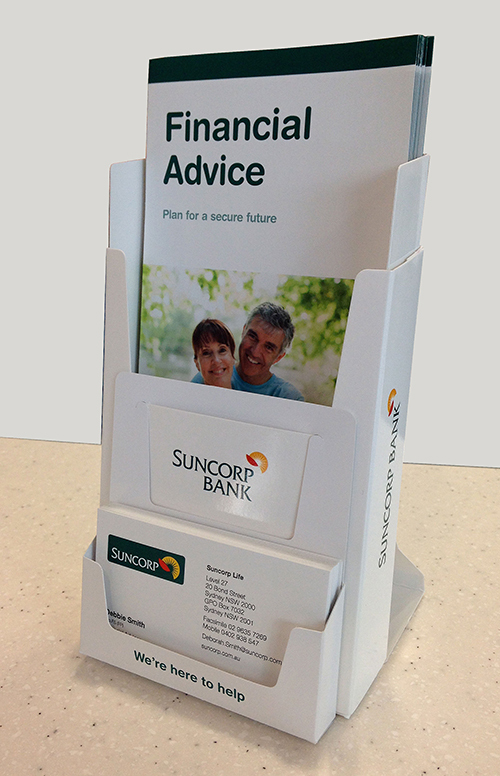 When a major Australian bank & financial institution wanted to promote a particular service, what better way than using an EZIPOP brochure holder, with a custom designed business card pocket. The custom designed business card pocket directs interest in the product, to the bank's representative for a greater client experience. And just like EZIPOP brochure holders, the business card pocket is designed to be packed and supplied flat. 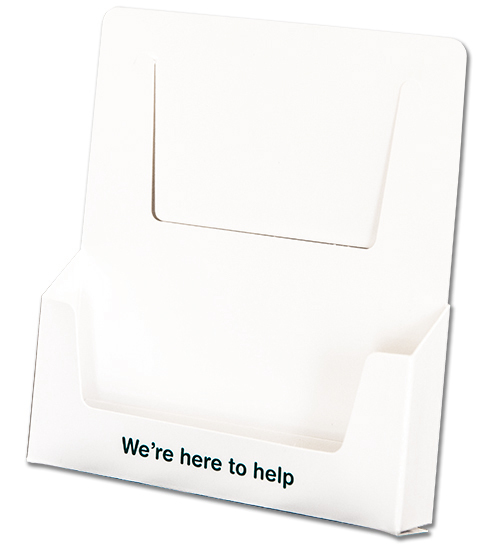 It's a simple job for a merchandiser to pop up the EZIPOP on counter, slip in the required brochures, then snap the business card holder together and hang it on the front cutout lip of the brochure holder. An elegant and simple solution to a need. This custom designed business card holder ships flat and once snapped together, hangs on the front opening of an EZIPOP brochure holder. If you would like us to work on a solution for your point of purchase needs, please just click here on the quote request link. Give us as much information as you can and we'll do our best to come up with a solution for you.